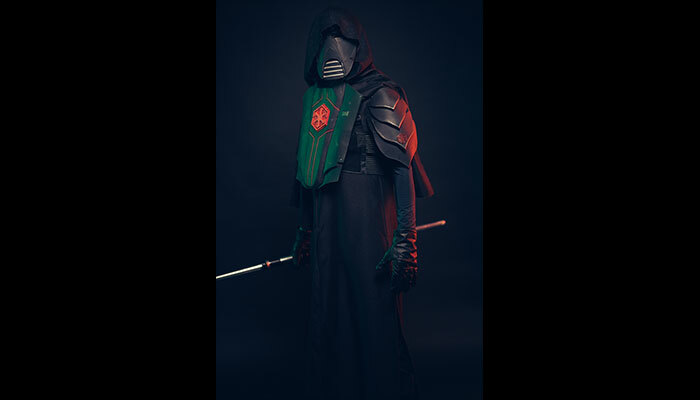 Another Star Wars cosplay, but this time an OC SithWe had this idea of a big Star Wars group for RPC and started to plan everything. Creepy Princess and Miss Violet Vintage did a Sith and Jedi with the same design and I started to work on my Sith Inquisitor. Portfolio Categories: Movie und OC. 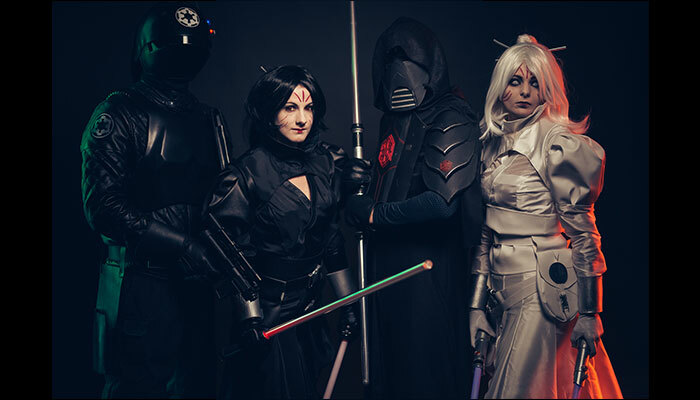 We had planned a Star Wars group for RPC 2018 and I wanted to make a Sith cosplay this time. So I found a 3D model of a Sith Inquisitor inspired OC and instantly fell in love with it. What do you like the most about this cosplay? I like the overall look of the cosplay. It's something different this time and it is surprisingly comfortable to wear.